Sharing my article at Huffington Post. 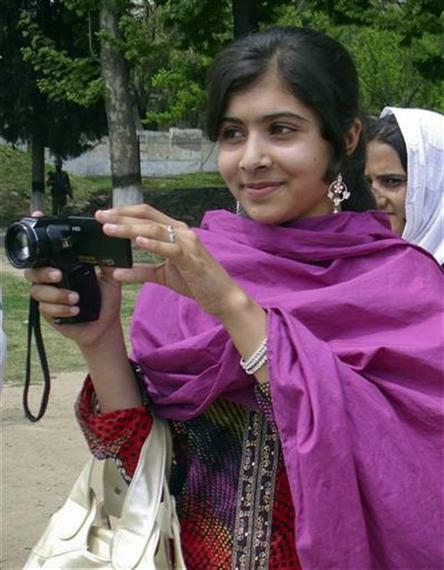 While the announcement that Malala Yusufzai has been awarded the Nobel Peace Prize jointly with Kailash Satyarthi of India was greeted with jubilation across the world jubilant, many in her native Pakistan have shown open hostility towards her while her admirers fear that she may now never be able to return to her birthplace. Their fears are based on many factors, which include the treatment of the first Pakistani Nobel Laureate, physicist Abdul Salam, who remained a pariah in his home country because he belonged to the hated Ahmadiya sect of Islam. Since she was shot two years ago, only Pakistanis who believe in liberal ideas, women’s rights, and education for all have praised Malala’s struggle. And these unfortunately are no more than a handful. In a country overtaken by Islamists with an absolutist mindset, a very large segment of the population considers Malala’s struggle and her near death shooting as some kind of Western and even Zionist conspiracy. Most Pakistanis consider Malala as an American agent who is out to hurt and defame Pakistan. The fact her father has engaged high-priced public relations companies to manage his daughter’s affairs has merely added to the credibility of her naysayers. Winning the prize jointly with India’s activist for children’s rights, Kailash Satyarthi, is certain to add fuel to fire in a country that has always considered India as its arch enemy, where all the efforts of reconciliation by well-meaning people including Nawaz Sharif the current prime minister of Pakistan have been thwarted by Pakistani establishment, led many a times by its army. It is ironic that when Malala was hurt her treatment was made possible only because of the direct intervention of the then Pakistani president Asif Zardari and the Chief of Army staff General Ashfaq Kayani. They are not there anymore. Even though the Pakistani Prime Minister Nawaz Sharif has greeted Malala on her achievement, he is powerless to protect Malala in the country where the governor of Punjab province was killed by his own bodyguard because he was trying to protect a victim accused of blasphemy. The murderer has since become a folk hero. Ironically Pakistan’s Imran Khan has also greeted Malala, but in the province ruled by his political party, Malala’s book, “I am Malala” has been banned . This is the kind of mindset that has driven the Pakistani public opinion not just there but also within the Pakistani expatriate community in Canada and the U.S.. When the petition to award the Nobel Prize was circulated last year, it was a surprise to note that only the first generation of Pakistani expatriates signed the petition and the majority of second-generation Pakistani youth were conspicuous by their absence as the signatories. It is this apathy and widely prevalent conspiracy theories that will make it impossible for Malala to ever return home. Her fate will be not too different from an earlier Mulsim woman Nobel Laureate Tawakol Kamran who had to move out of Yemen after threats to her life in Yemen, and was granted Turkish citizenship.